Cold drafts don't stand a chance! Winter weather is in full swing with the temperatures officially dropping to "way too cold." While we're cranking the heat inside, it's not uncommon to find a chilly draft coming through the windows at this time of year. Luckily, it's fairly easy to get rid of that draft, keep your home warm and possibly even lower your energy bills. Lou Manfredini, TODAY contributor and host of "House Smarts," stopped by TODAY's Fourth Hour to share easy tips and tricks to stop the winter chill from coming indoors. Want more useful tips delivered straight to your inbox? Sign up for TODAY's Everyday Solutions newsletter! If you notice a draft coming inside, Manfredini recommends first checking if your windows are locked. He says the No. 1 mistake people forget to do with their windows is lock them. Without locking them, you’re likely leaving open space, even the smallest sliver, to let in that cool air and make your home feel cold. What's the secret to sealing that tiny crack? Manfredini suggests using adhesive weather stripping, which should only cost a few bucks. 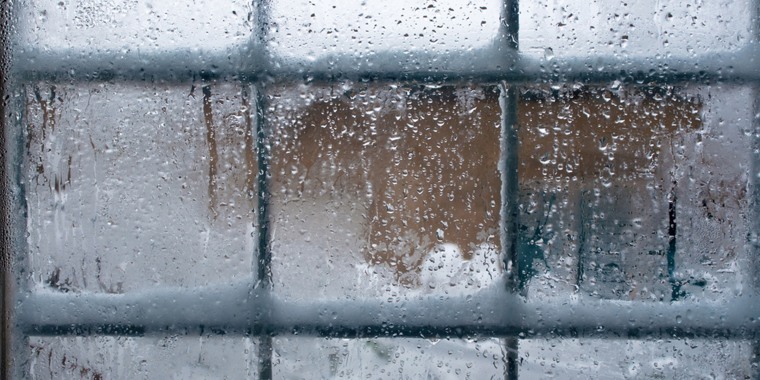 Once the weather stripping is in and the window is locked, cold weather doesn’t stand a chance! To install adhesive weather stripping, first open the window and remove the old stripping. Then stick a new strip right over where the old piece was. Drop the window to seal the stripping in and make sure you lock it. If you still notice a draft, place a piece of clay around the window to seal the draft completely. You’ll be so much warmer and you might even lower your energy bills. Now that's music to our ears! This article was originally published on Nov. 18, 2015 on TODAY.